"How can I begin to describe such a magical, flawless day?! Chris worked with my now fiancee, Brandon, to create the most incredible day of our lives. Brandon is always been full of big dreams and grandiose ideas, but sometimes it's difficult making them happen without a little help. Chris made all of Brandon's ideas come to life. They sent me on a scavenger hunt all over Nashville to find clues that ultimately led me back to Brandon asking me to marry him. They coordinated my best friends/family popping up at different spots, us arriving at locations important to us, and champagne and chocolate showing up at all the times my nerves needed them haha. I know how much it meant to Brandon to see everything go off without a hitch. On a day typically filled with anxiety, I know he could rest easy knowing Chris knew what he was doing. He handled absolutely everything perfectly, every detail and every unexpected event he handled with ease without us even knowing. He really thought of everything. The day of our engagement still feels like a dream. I'll be forever grateful to Chris for helping my sweet fiancee create such an unforgettable experience." "Constructed Adventures is a pretty amazing experience. I would have never made my engagement day so special without Chris and his wondrous company. Somehow he is able to manage not just a couple dozen people, places, and vehicles but also, take into consideration everything I envisioned for this day and make it all come together flawlessly. I wanted a great adventure for my bride to be and Chris made that happen. I saw him work countless hours to make everything perfect and take any set backs in stride. Chris and I talked for months before a date became available as he was booked for the whole year when I originally contacted him. Constructed Adventures and Chris Waters made my engagement the most fun and amazing day I could have ever imagined and I will always be grateful for his dedication, handwork, and care for others." Adventure no. 8: The National Treasure. "Having my family surprise me with a Constructed Adventure was an amazing experience, and one I would do again in a heartbeat. It was so much fun to run around town searching for clues that led to a surprise party! I personally love reading books or watching mysteries and it was very cool to get to solve one myself. I got to bring a friend along, and that made it even more fun. Chris had such an unbelievable attention to detail with every clue they gave me, and incorporated significant places and people in my life into the adventure. It was challenging but awesome, and the most wonderful birthday present that I will remember forever!!" “I knew that I had to do something amazing for my sister's 30th birthday, but I live four hours away and am in PA school, so time is not something I have in abundance. I had read about Chris' adventures several months ago, and it occurred to me that it would be a great idea for a birthday. So, I talked to my brother-in-law, and we decided to take a chance and hire Chris. "Constructed Adventures created an unforgettable customer experience. The time and effort that was put into our Margarita Madness adventure was amazing! The price was more than reasonable and the end product was way more than I had anticipated. Chris was there the whole time along the way always keeping me involved (as much as he could while I am deployed) and even stayed once they had gotten to the end to hang out a bit! He was so personable and always asked for my inputs on the ideas for the clues and who and what should be involved. When I was in doubt, he was there with another creative idea! My roommate loved the whole hunt and said 'it was the coolest thing anyone has ever done for her'! I cannot wait until the next occasion to come around so we can have another amazing adventure! I I highly recommend Constructed adventures for any occasion." "We used Constructed Adventures to put on a adventure/scavenger hunt type event for a group of new employees from our company....and they absolutely LOVED it! They couldn't say enough about how awesome the experience was. They were all new to the San Diego area so we wanted to do an activity for them that would welcome them to the area and help them get a taste for what living in San Diego was like. I worked with Chris to provide him information about our group and along the lines of what I was looking for and then he took that information and organized EVERYTHING! It was so easy from my end and the event was EXACTLY what we were looking for. Chris put so much time and thought into every detail and created and unforgettable welcome to San Diego for our new employees. Considering the amount of time and detail that went into our adventure, it is definitely worth it! Could not recommend Constructed Adventures enough. What a cool and unique experience!" “Constructed Adventures has altered the course of my life, and there's no going back. One random day I discovered a guy posting to Reddit for his cake-day about a Viking-themed scotch-sponsored scavenger hunt he was putting together in the city I grew up in. Somehow I was lucky enough to respond before the site crashed and the RSVP form was taken down. I was one of a lucky few who were selected to participate, and after hearing this, I reached out tentatively to Chris to see if it would be possible to slip in a subtle surprise proposal to my girlfriend at the end of the hunt. Within moments of sending my email, he called me up with grand ideas on how to make this proposal a once-in-a-lifetime moment we would treasure for the rest of our lives. Over the next few weeks, Chris was available at every turn to discuss details, plan out logistics, and brainstorm creative ways to insert our crafty twist into the larger event attended by nearly 40 other individuals, without ruining the surprise for my fiancee-to-be. As far as being a fan of puzzles and escape room challenges go, this scavenger hunt topped them all. The clues were personalized to each team, the envelopes had actual wax seals, and the variety of puzzles to solve, and how unique they were to the Washington DC setting was unbelievable. After every stop of the hunt, I was constantly blown away at his uncompromising attention to detail of every aspect of the experience, from the clues to the rooms to the agents.. the list goes on and on. The final clue, the surprise proposal, and the ensuing viking feast and scotch tasting are now my favorite story to tell friends and family. Working with Chris was an absolute pleasure. He was very easy to communicate with, and thought through every different scenario to ensure the proposal was kept a surprise until the last possible minute. Even when our teams got mixed up in the beginning, he was able to quickly adjust and brief our teammates on the details. I loved working with Chris to plan the proposal almost as much as I loved partaking in his hand-tailored Constructed Adventure! “Constructed Adventures was absolutely the perfect vector for Andrew to propose. He's a man with grand romantic ideas about love and also someone who will gameify anything when given the chance. Chris presented the perfect opportunity for Andrew to combine Vikings (one of our favorite shows), Scotch (one of my favorite drinks), and Puzzle solving (our favorite pastime) to create a one-of-a-kind experience that we'll never forget. At no point leading up to the scavenger hunt did I think it was going to end in a ring. It was supposed to be a big group activity that was super hard to get on the list for thanks to Reddit. I was definitely hoping to be one of the fastest groups to get to the end of the hunt but not because I was chasing down a proposal! There were clues in code, secret agents, and great mixed drinks along the way. I was having a fantastic afternoon with new friends while walking around some of our favorite parts of DC. When we got to the last room, the Viking feast, I'd figured out something was up. I still wasn't prepared to believe my wonderful boyfriend had managed to make this oddly-specific-to-our-interests excursion into something about us until solving the final clue of "Will you marry me". There was happy jumping, great food, surprise family, a photographer, a go-pro, and so much smiling my face hurt after the big reveal. "Chris is magical. He listened to all of my ideas about what kind of elements would make the most amazing surprise date ever with my wife to celebrate our 20th anniversary. And he incorporated all of them, and many more original ideas of his own, into an amazing adventure where everything worked just perfectly. He scoped out every single location in advance and planned each and every detail to make our date the experience of a lifetime. Not only did he find a way to adapt to whatever curve-ball circumstances threw our way, but he creatively incorporated it into the adventure, such that my wife felt like we had known about and coordinated that unexpected development right from the beginning. I cannot recommend Chris and Constructed Adventures more highly for whatever adventure you are planning!" Adventure no. 33: The Champaign Toast to 30 years. "I cannot begin to express my complete and total amazement in the exceptional quality of work Chris put forth in his unforgettable Constructed Adventure for my fiancee's birthday surprise. 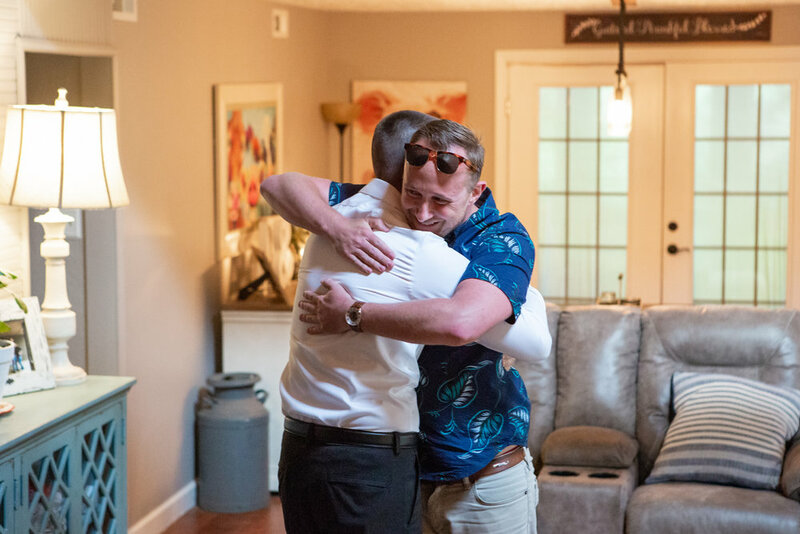 Throughout the entire process from my initial contact with him to after the adventure was complete, Chris was professional, positive, and genuinely excited. The adventure itself went beyond my expectations. He combined his incredible attention to detail with significant and meaningful locations for my fiancee and myself. The adventure was completely seamless and exciting as Chris did all of the hard work. At one point I texted him that he was a better girlfriend than I was (true fact, but also he is). He was able to pull off last minute changes and miracles. My fiancé and I both had such a great time, and it left a lasting impression where we're able to revisit all of these locations and recall what a great time we had. The only downside I have to say about Constructed Adventures is, "What do I do for next year's birthday?'" "Thank you so much for all the work and creativity your poured into our three event. The greatest differentiating characteristic and what will allows Constructed Adventures to rise above everyone is the creativity and dedication to detail. Chris Flew out 10 days in advance to scout each city and map it out. He touched base with each individual respondent to gauge RSVPs and manage expectations. He customized each hunt, creating high quality clues and materials. Finally he reached out to his follower to help drive the majority of the RSVPs. We so appreciated everything he did. It really made the difference between an average event and an excellent one."